He hails from the Bronx or as he would preferably say the Zoo Boro'. He’s gained popularity and notoriety by making his way up the battle rap circuit, and tearing up the King of the Ring competition. One fourth of the Slim Frame Gang which consists of two other lyricist Lim-Dot the Young Arthur and Reem and producer International Bez. I first saw him perform headlining the Renaissance Remix- "Pass the Mic Party" where he commanded the attention of his audience by stopping the music and free-styling acapella. This to everyone’s surprise gave the show more depth, and luckily didn’t break up the party atmosphere. His deep baritone voice which always stands out, quieted the room in seconds as he proceeded to give out Halos, his mantra, in which he decides whose angel worthy, God, given talent which warrants God like abilities? Ms Vixen readers you be the judge. 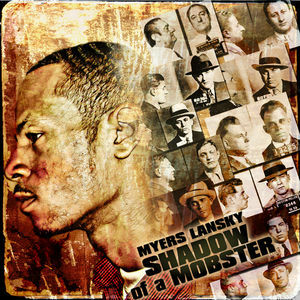 His most resent project is his mix tape Shadow of a Mobster, released September 29, 2011. He collaborates with artist such as Steve E, Lotto Aura, and Lim –Dot the Young Arthur, producers International Bez and Audio Jay plus many other people who diligently worked to bring this project to life. With tracks like Fear No Man and Slim Talk which were also produced by International Bez and Saying I’m Not Perfect which gives you insight on his loyalty and draws an outline to his character as a man. Than there’s Time to Say Goodbye which tells a story of a secret love that can’t continue, it gives the male perspective on a “friends with benefits” situation. Take a listen for yourself by downloading his free mixtape at Datpiff.com. Shadow of a Mobster out now, and once again FREE download, so click that link. Photo's from Renaissance Remix -"Pass the Mic Party"